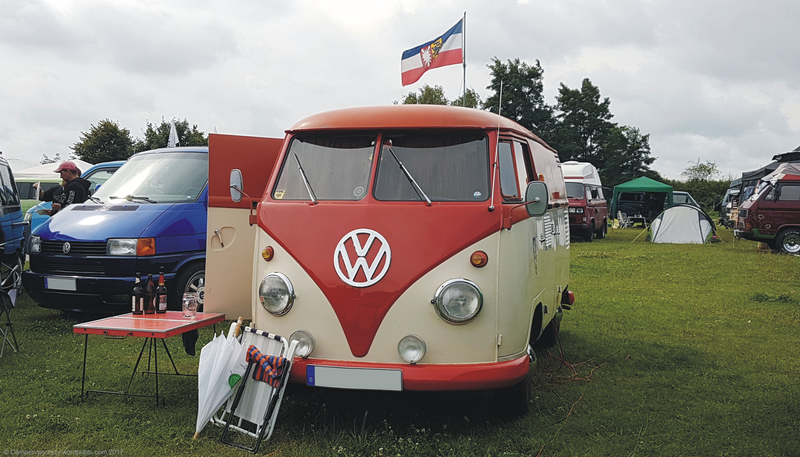 Red (top) and creme (bottom) Volkswagen split-window T1 panel van from 1961., rebuilt into a tin-top campervan. Bullit indicators at the front. View onto front and left side.